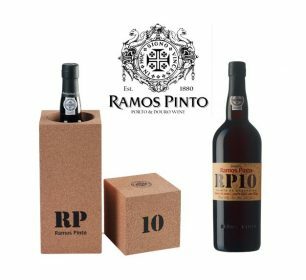 Ramos Pinto are delighted to receive a Special Commendation for the design and packaging of their 10 Year Old Tawny Port, RP10, in this year’s Drinks business Awards. The Drinks Business Awards have become some of the most respected accolades in the drinks industry, celebrating the achievements of importers, designers, launches, and marketers. Ramos Pinto have been famous for their distinctive designs and striking art nouveau advertising campaigns since the 20th century. This love of art and design was inherited from family member Adriano Ramos Pinto, who considered that enjoying a good wine was a cultural act, just like appreciating a fine work of art. The RP10 gift pack combines sophistication, modernity and practicality. The stylish box can be turned into a cork wine cooler, the perfect way to store and serve this award-winning wine. The distinctive label is truly representative of Ramos Pinto, combining simplicity, style, modernism and tradition. Contact Christine to find out more about Ramos Pinto.